In this month’s roundup we’ve got mid-drumming backflips, top drummers talking about their favourite drum sounds, getting unexpectedly hired by AC/DC, and a lot more! Former AC/DC drummer Simon Wright tells how he was hired by the band after a blind audition in 1983, right before a huge concert. Listen to the full interview below, where Wright talks about how he first attended an audition hosted by a drum tech. 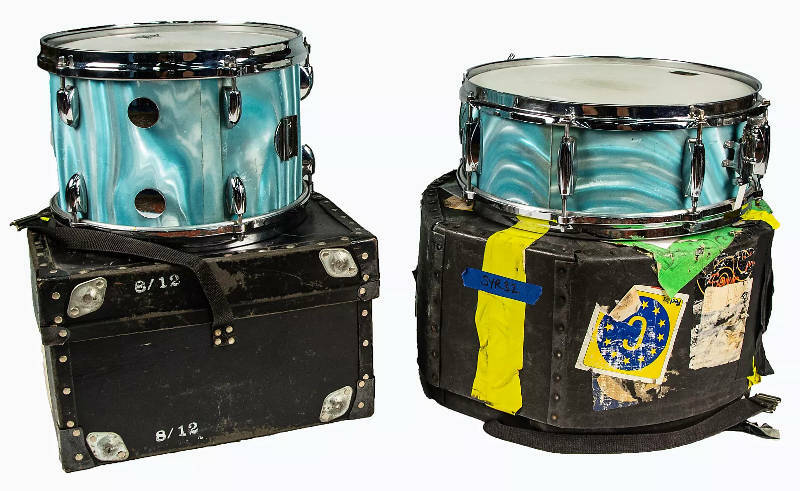 The drum tech called him back soon after, and Wright learned who the band was after seeing AC/DC printed on flight cases as he walked down the corridor to meet them for the first time. Sabian have announced a beautiful limited edition David Garibaldi ride cymbal, to mark Tower of Power’s 50th anniversary, and the release of their 16th studio album. 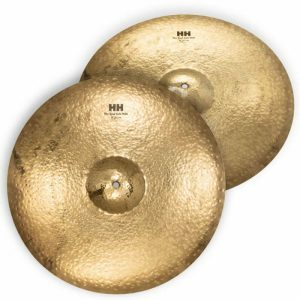 The 21″ double-hammered HH Ride is dubbed “The Soul Side” Ride, and features a buffed raw top and fully-lathed bottom. Only 250 of these cymbals will be made – read more at Sabian’s website. Some huge names in drumming have united to beat (yes beat) hunger. There’s Stewart Copeland, Sheila E., and Kenny Aronoff, just to name a few. Check out all of the videos here, and (more importantly) donate to Hunger Relief International here. 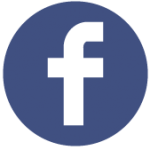 HRI is a worldwide organization that partners with local communities. Their aim is to reduce the impact of hunger on the lives of malnourished children, and to enable families and communities to become self-sufficient. Sonic Youth are currently selling off a lot of their old equipment. In the mix are some of Steve Shelley‘s lovely Gretsch drums, a Ludwig Speedking, some assorted hand drums, and other nice gear. See the auction on Reverb here. Wanna see someone do a backflip between two drum kits while drumming? We do! Check out MusicRadar’s interview with Aric Improta, drummer for Night Verses and The Fever 333. 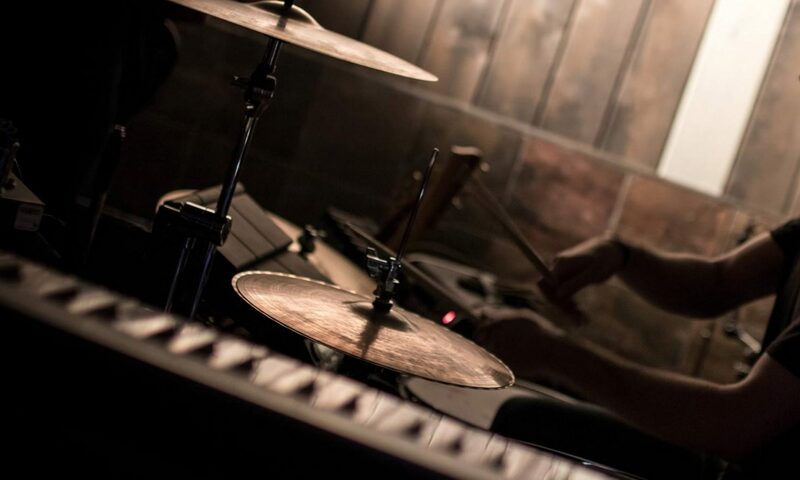 Aric covers the importance of showmanship, something a lot of drummers have put a big focus on before him (for example, Buddy Rich and Keith Moon). Reverb has a great article featuring drum legends like Stewart Copeland, Cindy Blackman, and Patrick Carney talking about their favourite recorded drum sounds. Some more obvious choices are in there (like When The Levee Breaks), along with a lot of other great tracks (many you wouldn’t expect). Read the full article here, and listen to each of the tracks below for some drum sound inspiration. Attack drumheads has undergone a change of ownership, becoming part of new wholesale company Cardinal Percussion. The new company has been launched by industry veterans Jim Bickley (former VP of Universal Percussion), Robbie McFarland (GM of Hubbard Music retail stores) and Mark Tirabassi (President of Mavi Inc.). Attack drumheads are used by some top names in the industry, including Eric Singer of Kiss. Read more at Cardinal Percussion’s website. We’d love to get our hands on some of the new heads to test out! Previous PostPrevious Brand New Article: The Ultimate Guide To Resonant Tom & Bass Drumheads! Next PostNext New Article: Does A Drum’s Wood Actually Matter?